You probably know that working out regularly, along with a healthy diet, is the key to losing fat and maintaining your ideal weight. While this is true in most cases, this is not always the same in removing fat, especially for stubborn ones or those located in your midsection, hips, and thighs. Why are some fats so stubborn? Not all body fats are the same. Subcutaneous (pinchable) fat or the one located underneath the skin is more stubborn than the visceral fat or the one located around your organs. If you have read our previous blog all about stubborn body fat, you already know why visceral fat is often responsive to a good diet and regular exercise whereas subcutaneous fat is not. If you feel that you’re running out of options (or workouts) just to get rid of that bulge, consider safe and non-invasive fat removal procedures in combination with your active lifestyle. Think of it as a “supplement” that helps you target stubborn areas that doesn’t seem to go away despite your vigorous and intense exercise routines. What are the safe and effective fat removal procedures? Liposuction may be the first one that comes to mind when removing fat, but this is not your only option for getting a slimmer physique. Besides, a fat reduction procedure that involves cuts, incisions, and longer recovery time (not to mention the risk of complications and side effects) is not for everyone. Fortunately, there are safe and effective non-invasive fat reduction methods that don’t involve going under the knife. Here are your options for losing stubborn fat without surgery or extensive routines. 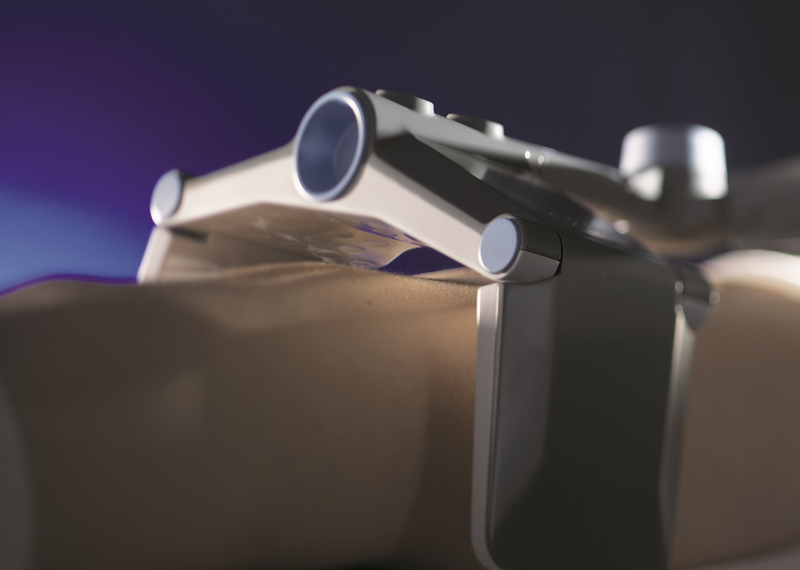 Vanquish is a US FDA-cleared device that uses contactless radiofrequency (RF) energy to melt and target only fat cells. It can help you lose inches off your arms, waistline, thighs, and flanks. Vanquish can also reduce the circumference of your entire abdominal area with unmatched level of comfort and safety. Vanquish fat reduction in Singapore works by delivering safe and controlled RF energy that solely targets and heats fat cells. Exposure to heat triggers “apoptosis”, causing the fat cells to die naturally over time. They will then be processed as waste in the liver and cleared naturally through the lymphatic system. The science of impedance or the fat cells higher resistance to absorbed heat is mainly attributed to the effectiveness of Vanquish in reducing fat. This is because higher heat resistance means that the fat cells can absorb more energy, which is beneficial in triggering the process of natural cell death. One unique thing about Vanquish is that it can contour and shape your body without touching your skin. The device just hovers over the area of concern using a panel array of heat. Almost everybody is also a candidate for Vanquish as it doesn’t require any BMI and is safe for all skin colors. Also known as a fat freezing procedure, Cryolipolysis is a non-invasive body contouring treatment. It uses a controlled cooling technology to specifically target and kill fat cells without harming the skin other tissues. At Cutis Laser Clinics in Singapore, we have to safe and effective devices that utilize Cryolipolysis: CoolSculpting and Z Lipo. Here’s a brief rundown of how they can help you get rid of stubborn fat. CoolSculpting (from Zeltiq) is an FDA-approved device from the United States the uses controlled cooling technology to eliminate fat for good. It features a number of applicators (called CoolAdvantage and CoolMini) to target fats in different parts of the body such as the belly, thighs, arms, and chin. It can also treat smaller fats like bra and knee fat. CoolSculpting in Singapore works by drawing the fat tissue using an applicator that is placed above the treated area. This is followed by the cooling of fat cells to freezing temperatures, which also triggers “apoptosis” or natural cell death. The frozen fat cells will then be naturally expelled in the body and this result in a slimmer physique. One great thing about CoolSculpting is that it has a built-in mechanism that can detect if the skin is getting too cold. If the skin is found to be cold, it shuts off automatically, making it a safe and effective fat reduction procedure. Z Lipo (by Zimmer) is fat reduction device made in Germany. It also features handpieces of different sizes to treat and target fat bulges in the arms, belly, and thighs. It also uses safe and controlled cooling temperature to reduce fat in different areas of the body. Z Lipo works similarly as CoolSculpting wherein it suctions in fat bulges using a handpiece and exposes it to cold temperature wherein it dies naturally and metabolized by the body over time. What makes Z Lipo unique is that it’s built in with two applicators attached to its device and can be used in a single treatment. This only means that two areas can be treated at a time, reducing the overall duration of the procedure. Both of the two devices that use Cryolipolysis may work the same way together, but they also have their differences. Check out our previous blog to learn more about the difference between CoolSculpting and Z Lipo fat freezing. You can also choose to combine the power of heating and cooling to have an optimum body contouring and shaping results without surgery. At Cutis Laser Clinics in Singapore, we offer Fire & Ice Body Fat Removal and Contouring Protocol, which combines Vanquish and Cryolipolysis. This offers a number of other benefits such as higher efficacy in permanent fat (localized bulge and circumference) reduction and minimal to no downtime. Get rid of your stubborn fats and achieve a slimmer physique with these non-invasive procedures. Contact Cutis Laser Clinics today and schedule a body assessment with our Harvard-trained aesthetic doctor, Dr. Sylvia Ramirez, to find out if you’re a good candidate for these procedures.